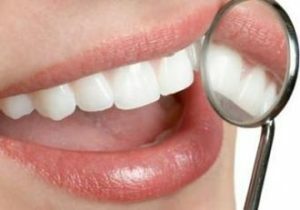 Enamel is something that is very important to your dental health and it is also something that is on the front lines of getting damaged or even completely removed. Thankfully with a lot of the new modern things coming along in the dental world you can actually take some steps at home to help to rebuild, restore and strengthen your enamel. Now there will be cases where all you can do is talk to your dentist and see what they suggest, but if you catch an enamel issue early enough you may be able to use some products at home such as toothpastes. There are some toothpastes and products that you can get directly from your dentist but for over the counter you have choices as well. Arm and hammer has an enamel care product that contains a liquid calcium or an amorphous calcium phosphate, which is what is going to help you restore the enamel that has been damaged or strengthen what is not damaged. Crest also has a product called 3D White Advanced vivid Enamel renewal toothpaste that not only works on fixing the enamel but whitening your teeth too. The thing to keep in mind when using products like the listed toothpastes is while they help there is no real full way of replacing your enamel. If you go in with thoughts that this is going to be a cure all you will be disappointed. The toothpaste can do a lot of good in helping though and if you have tooth sensitivity you will notice once you start using the restore toothpastes there will be improvement. Sensitive teeth can often be one of the first warning signs that your enamel is getting weaker because it will expose the nerves to air and everything you eat. If you suddenly get sensitive teeth when you did not have them before, have your dentist check it out.